It’s here. 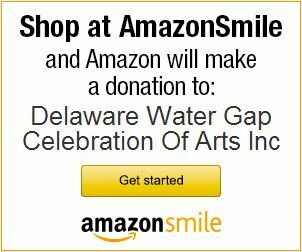 Sunday April 28, 2013, 3:00 – 4:30 pm at the Deer Head Inn, Delaware Water Gap, Pa. The Andy Leon Mem orial Young Teacher Jazz Award was established by Angelica Leon, Yuki Okuma, and the Rubinstein family to create mentorship opportunities between young talented performers and music students. This program is meant to encourage young people, singers and instrumentalists, to enjoy jazz. Through the generosity of the Andy Leon Memorial Fund the Deer Head Inn will be providing the venue for a mentoring opportunity for young jazz musicians by a professional young musician who is actively performing throughout the area. We would like to invite middle school and older students with an interest in Music to attend. Following the session the musician will be playing from 5:00-8:00 with his band so the young musicians will have the opportunity to hear a live performance. We are excited to have Jay Rattman, who Andy knew as a young boy and watched him become a talented musician, mentor this session. A recipient of an ASCAP Young Jazz Composer Award, Rattman holds bachelors and masters degrees from Manhattan School of Music. Jay is a much sought after sax and clarinet player. 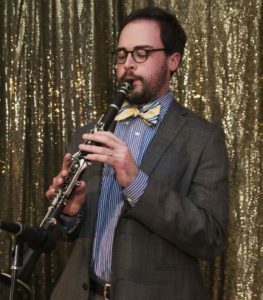 A woodwind artist and creative musician in New York City, he has performed at Jazz @ Lincoln Center, Carnegie Hall, and the Coachella Festival, in addition to appearing on NPR’s Sound of Young America, The Late Show, and The Tonight Show. As an educator, Rattman maintains an active private studio in addition to having taught group instrumental lessons in New York City public schools, at COTA Camp Jazz, and via distance learning from Manhattan School of Music. He also presented in a teaching artists’ master class with Yo Yo Ma and his Silk Road Ensemble. During this class Jay will be joinedby pianist Can Olgun, an active member of the German Jazz scene, and now established himself as a fresh voice on the New York jazz scene. Come join us for a fun and educational afternoon at the Deer Head. There is no cost for the masterclass event. A $5.00 charge for the performance happening from 5 to 8 pm. Looking forward to seeing you there.